Another summer salad recipe for you! I’ve actually already done a simple massaged kale salad recipe, but I decided I wanted to mix it up a bit and have something different! Kale is a SUPER POWERHOUSE OF AMAZING-NESS. I mean, you probably already know the multitude of reasons why you should be eating kale now. It’s got a ton of Vitamin K, A, C, calcium, iron, filled with iron and fibre and so much more. Seriously, you need to get on this bandwagon if you haven’t already! I made a super creamy (but vegan!) 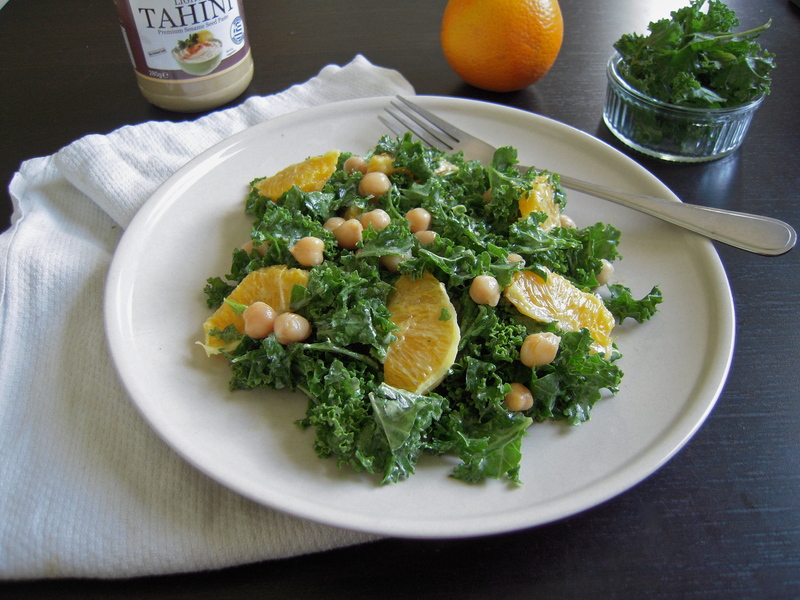 tahini dressing which is perfect with the slightly bitter leaves of the kale and the orange segments really lift the dish and make it summery and the juice makes it sweet and delicious! I also added chickpeas on top just for some protein and fibre to keep me full, but it’s still great without and you can serve it as a side salad. I also think it would taste great with some roasted almonds for some crunch! optional: chickpeas, chicken, roasted almonds. Massage the kale with the dressing. Add the oranges and fold in with your fingers so they don’t break down. Put in the fridge for an hour or two if you have time so the kale can breakdown and take in the dressing. When serving, top with the chickpeas or roast nuts, as you don’t them to get soggy in the fridge. Different recipe indeed! Love when i bump into dishes like this. I NEED to try kale! Like yesterday. I love the orange slices, makes the dish so refreshing. Thanks so much for the feedback! 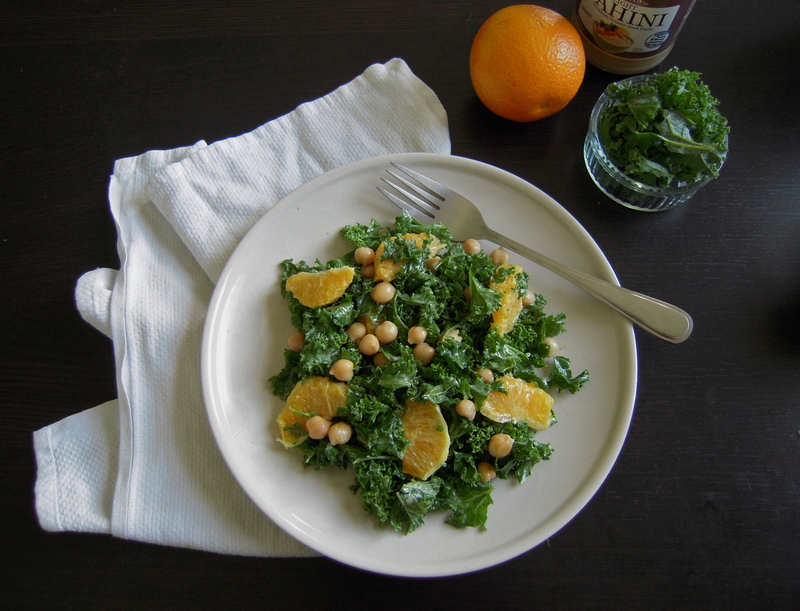 I love the zestyness of orange with the slight bitter kale! Great! Thanks Lorraine – Hope she’ll enjoy it as much as I do! What a flavoursome and tasty looking salad! I love how simple and delicious this recipe is! Thanks Russell! Glad you enjoyed it! Nice recipe Millie, I wonder if some dried orange peel would also go nice in it! Yes! I bet freshly grated orange zest would be amazing in the dressing Des! It really looks like delicious !! Thank you so much! I hope you enjoy it as much as I did! This looks delicious Millie! 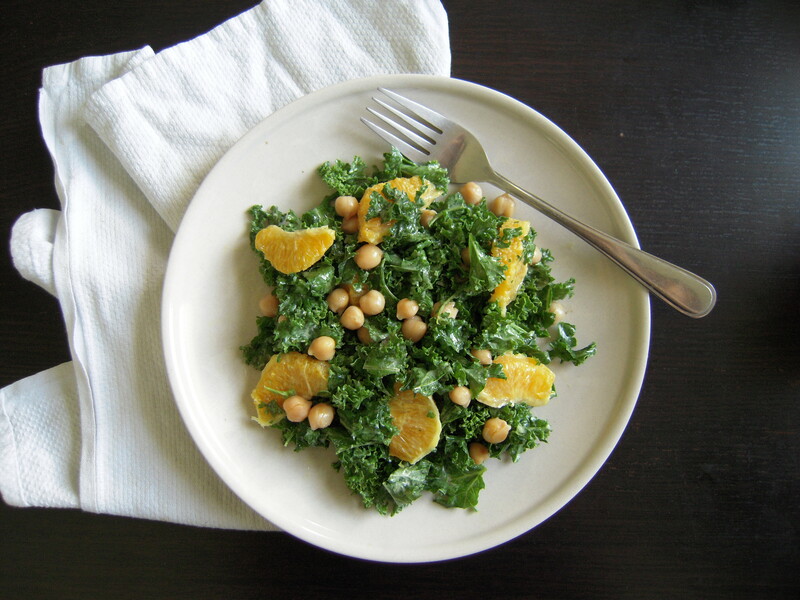 Love the idea of orange and kale, I’m definitely trying this! Thanks Emma! The orange gives a nice sweetness and lift to the bitter kale!